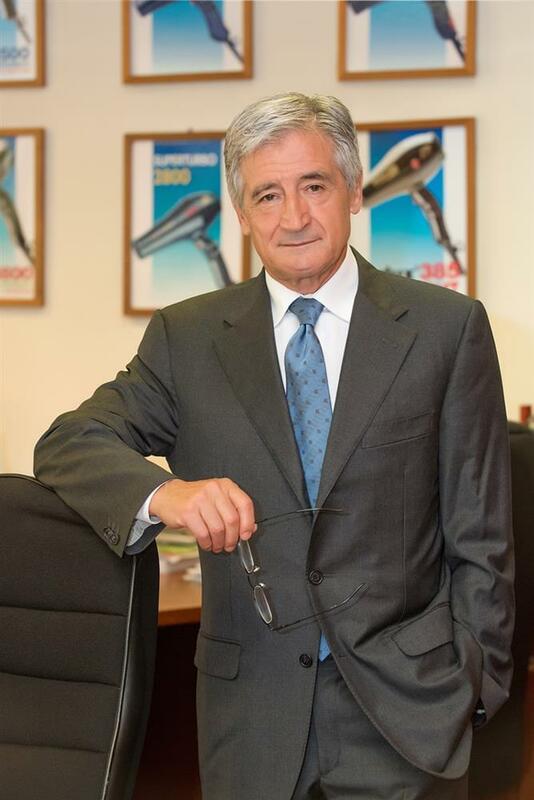 In the late '70's, after many years of research and collaboration with many top Italian hair salons, the young Paolo Parodi - Director of Parlux - began his career together with a group of equally young employees in a professional venture that would become a worldwide giant. Their first product, the famous "Superturbo 1500" , was quickly singled-out due to its incredible professional high-resistant motor that, thanks to the innovative technical features, could quickly reach the temperature required and to its easy-to-use switches. These important features gave way to many other professional products, always using continuous up-to-date technologies. 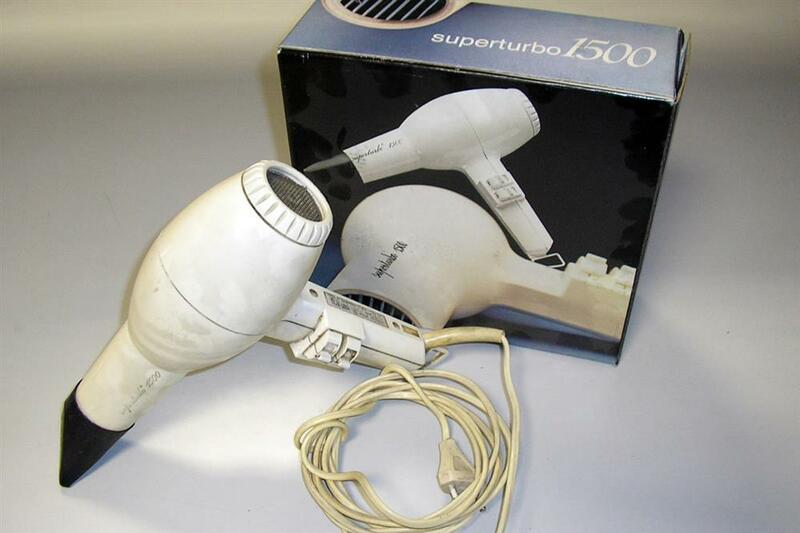 The Milanese Company studied and brought to life a new hairdryer: the "Superturbo 2000" (1440 Watt, 2 temperatures, lightweight, instant cold shot button, low noise). The inevitable continuous growth caused the company to move to bigger premises in order to keep everything at hands throw and under strict control. The Company moved from Corsico, Milano to its present-day location at Trezzano sul Naviglio, near-by to the cut off of the Milan-West Highway. 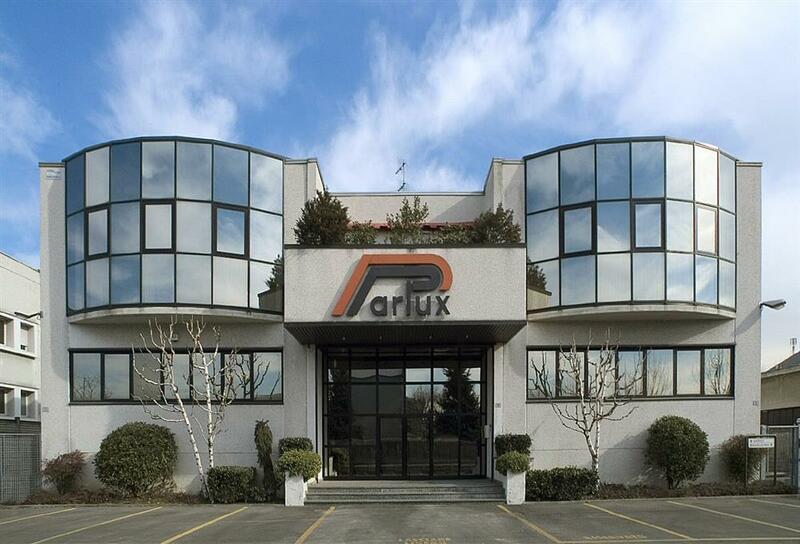 Here the production of Parlux continued not only for the Italian market but for markets the whole world over, where their reliability and professionalism became a renowned world name. With the same up-to-date technology, that distinguished this famous brand, new tests were carried out to better the air-flow. The hairdryers had to succumb to long hours of continuous and stressful use. This allowed the Company to provide hairdressers with a hairdryer that could meet even more than their daily needs. In 1997 Parlux started out on their new quest to obtain the certification ISO 9001 from Sincert. After obtaining such certification, they then obtained compliance with the Certification ISO 9001/2000 for Design and Production of Electrical Equipment for Hairdressers. In April 1998, during the trade show Cosmoprof in Bologna, a very new hairdryer is presented, it is the Parlux 2800. Together with the technical features already adopted by Parlux technicians at this time (1700 Watt power, 2 speed temperature-control, immediate cold-air shot, light-weight and low-noise), this new model, for the fist time ever is equipped with an ergonomic hand-grip which causes the hairdressers less fatigue when working. Thanks to its high-quality technical features and modern design, this model became one of the most used hairdryers in hair salons all over the world. This is the year where manual production was replaced with a new automatic system allowing the production of many more safer products to be manufactured at a quicker pace. At the same time, a new inside-factory laboratory called the "Robotized Hairdresser" was inaugurated, where accurate technical tests are done (on hairdryers, straighteners and irons) by a robotized appliance, which, in constant movement, can simulate the product in use. This new system helps to monitor, at close range, the intermittent function of the products thus indicating faults and ways of bettering them. A new hairdryer is put out the domestic an international market; it’s the model Parlux 3000. Modern and practical design, 1810 Watt, it assures 2000 hours life, 2 speeds, 4 temperatures. Parlux 3200 Compact is presented for the first time. A new small, light-weight and powerful hairdryer with an international patent. Its new K-Lamination motor insures power (1900 watts), light-weight, long-life and geometric system that provides lower-energy consumption. This motor is now used in all Parlux appliances. After the Parlux 3200, the new Parlux 3200 "Ionic & Ceramic Edition" came on the market which owes its success, not only to the motor, but also to the ceramics that cover the isolation and the grill and device that emits negative ions insuring that the hair is dried very quickly leaving it soft, smooth, shiny and healthy. This year the new supercompact Parlux 3500, came on to the market in two versions: the "Standard" and the "Ionic". This new hairdryer, much smaller and lighter in weight, proved to be a product that hairdressers found to be of great importance in their work shop. The year of "Parlux 3800" to be added to the best of the previous models. This dryer is the ideal-sized product for hairdresser-use and is launched in the "Ionic & Ceramic Edition" with an incorporated silencer, for the first time ever in the hairdressing field. Hairdressers can now boast, of having at their disposal, a powerful, but much quieter hairdryer. This is also the year of the "Eco Friendly" philosophy. The Company believes and chooses to follow this direction in producing products with low-environmental impact. The Melody Silencer: "For salons without noise ". For the first time ever in the world, a new item, the "Melody Silencer" is launched in the hairdressing field, that is capable of reducing the noise of the working professional hairdryer by 45%. A revolutionary item that was thought of in order to safeguard the health of both customer and hairdresser and can be easily attached to all models of Parlux hairdryers. This was the year that a new hairdryer was put on the market called Parlux 385 PowerLight®, extra light and very powerful, a model that has all the necessary features of a professional high quality hairdryer: high power, light-weight together with the already well-known characteristics of all Parlux hairdryers that are: ideal size created for the hairdresser’s needs, ergonomic design, balance, minimum noise and last but not least eco-sustainable (Eco-Friendly Parlux). A new longer-life K-Lamination motor, lighter yet more powerful, offers efficient and quick drying as well as light-weight, an important feature for those who use hairdryers many hours each day. 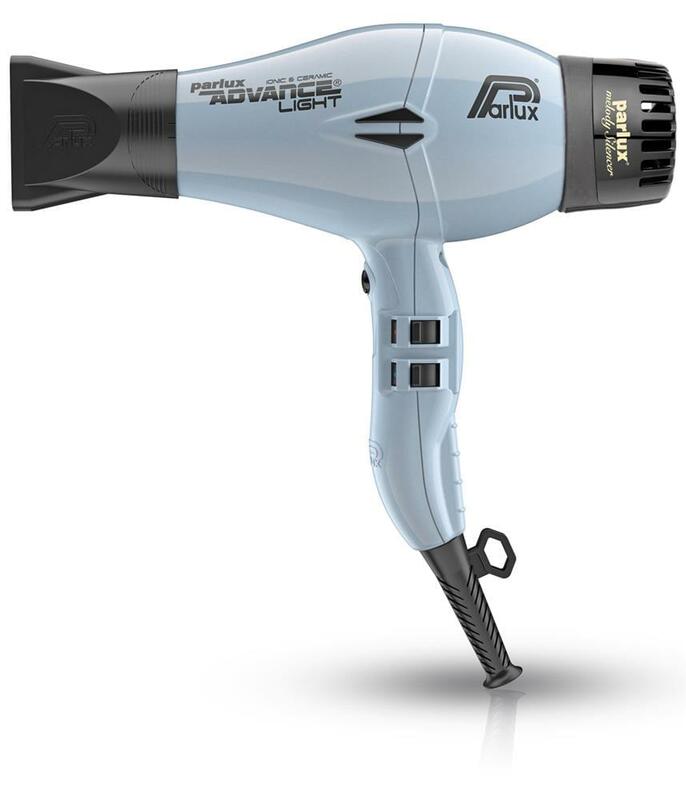 Inside this Parlux 385 PowerLight® model there is an already well tested and indispensable Ceramic and Ionic device which allows for shiny and silky hair, already present in many other Parlux models. This new hairdryer is available in ten different colours, from the more traditional to the most vibrant and trendy (fuchsia, orange, eco-green) adaptable to all salons and clientele. Thanks to its extremely professional and technical characteristics, Parlux 385 PowerLight® quickly became the best-seller Parlux hairdryer in the world, in all its many coloured versions and in particular the Light Blue Emerald (2014) and LightGold (2015) models. At the Cosmoprof Worldwide 2016 Show Exhibition in Bologna, for the first time on the market we presented our new latest hairdryer, the Parlux ADVANCE®: innovative, technologically advanced and “futuristic”.